We are here today to teach you about some of the most common systemic diseases that may lead to consequences that can impact your oral health. There are many chronic conditions that are common among Americans that necessitate special consideration when it comes to oral health. According to the National Institute of Dental and Craniofacial Research, the oral complications of systemic disease are well known and patients with various systemic conditions should be educated on the warning signs of the development of dental conditions can exist. Patients with systemic conditions should also develop impeccable oral hygiene practices and make sure that their dentist is aware of existing medical conditions and their physician is aware of existing dental conditions. As medical and dental research has improved over the years, researchers, physicians, and dentists have become aware of the intimate relationship that exists between dental health and overall health. Sometimes, poor oral health combined with lack of dental visits can cause a patient to have a diminished medical status. Other times, uncontrolled systemic diseases can cause a generally healthy patient to develop dental diseases. Our article today will list some of the common medical problems that exist amongst our patients and how these medical issues are related to dental health. We will also offer recommendations for good dental habits that you should develop if you are living with any of these chronic conditions. Please watch the following video from the American Dental Association for more information about the connection between systemic health and oral health. At Pelican Landing Dental, we are committed to patient education. Above all else, we hope that our patients can understand the importance of oral health as it relates to living with chronic disease. One way that we educate all of our patients is with out weekly blog. Our blog is designed to teach you about all things dentistry. As medical professionals, we care about your overall health and wellbeing. We are always accepting new patients from the Bonita Springs, Estero, and surrounding communities and are trained to care for patients from all walks of life. If you have any questions or would like to schedule an appointment or consultation, please contact us at any time electronically or call (239)449-6104. Patients who have a history of allergies to medications and other substances should be extra careful when using dental products. Try to use toothpaste that is made with natural ingredients to avoid adverse reactions. Make sure that you tell your dentist that you have allergies to various drugs and that your dentist speaks with your doctor about those allergies to ensure that nothing is used which may elicit a reaction. Asthmatic patients may develop anxiety around dental appointments that can exacerbate asthmatic attacks. It is important to talk to your dental provider about anxiety control mechanisms and time your appointments at the best time of the day for you. If you use a rescue inhaler, it is imperative that you bring it to every appointment with you. Patients with a history of bleeding disorders may need to have extra precautions taken during their dental appointments. These precautions are particularly important when extractions are being done or when implants or other surgeries are being completed. Your dentist must know your medical history before performing any type of oral surgery to ensure that excess bleeding doesn’t occur. If you take blood thinning medications because of heart problems, please tell your dentist so that extra precautions can be taken at your appointments. Before undergoing any chemotherapy or radiation treatment, your oncologist will recommend that you visit a dentist. It is imperative that you see the dentist before cancer treatment is started because there are many disorders that develop immediately following cancer treatment that can have devastating effects on the oral tissues. Your teeth may become more prone to develop cavities, you may experience a dry burning mouth, and you may have to have some teeth taken out prophylactically to avoid problems in the future. If you are looking to have dental treatment completed and have a history of cancer or radiation treatment, make sure that you tell your dentist about this at the first appointment so that they can ensure you are properly cared for. It is well established that cardiovascular disorders and hypertension are both closely associated with periodontal disease. Existing periodontal conditions can be exaggerated and appear worse when they coexist with hypertension or cardiovascular diseases. Additionally, uncontrolled diseases of the periodontal tissue can potentially lead to heart attacks or strokes in cardiac compromised patients. 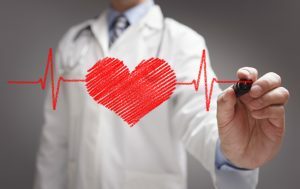 If you have any heart disorders, impeccable oral hygiene is essential to prevent periodontal conditions from developing or exacerbating the effects of the heart condition. Uncontrolled diabetes can have devastating effects on the teeth and gums. If you have poor blood sugar control, your body is less capable of fighting off infections, which includes infection of the teeth and gums. It is important that diabetic patients are meticulous with their oral hygiene. It is also imperative that blood sugar levels are kept extremely constant because poor glucose control can cause many dental problems. Many pregnant patients believe that they should avoid the dentist until they deliver the baby. This is not true and your dentist and dental providers will tell you that oral hygiene is even more important during pregnancy than at other times. This is because of the hormonal changes that take place during pregnancy, which may cause gingival problems to develop. If you are in pain or have a dental infection while pregnant, it is imperative that you treat this problem to avoid potential issues with the developing child. Any electrive dental work, including cleaning, should be completed during the 2nd trimester. Only emergency dental treatment should be done during the 1st and 3rd trimesters. If you are living with one of these chronic diseases or are pregnant or know somebody who is, we hope that you learned some valuable information today. Please check back for more of our blog updates! If you have any unanswered questions or would like to schedule a consultation, please contact us at any time electronically or call (239)449-6104.